The time has come to part ways with your longtime metal companion. Your car has been with you through a lot, and as hard as it may be to let it go, the transition from owning a vehicle to selling it is easier than ever before. If you have been wanting to “Sell my car!” but aren’t sure where to even begin, the team at DePaula Chevrolet is here to help. A lot of dealerships are only interested in buying your vehicle as a trade in, but not us. Rather than limit your options, DePaula Chevrolet will purchase your current vehicle for cash on the spot. It sounds easy, right? That’s because it is easy. With no strings attached, and absolutely zero hassle, the time to sell your car is today, and the place is right here in Albany, New York – at DePaula Chevrolet. DePaula Chevrolet is in the business of making our customers happy, and part of that elation comes in the form of convenience and commitment. The team at DePaula Chevrolet has developed an easy and convenient way for you to sell your car for cash on the spot, without doing any of the heavy lifting. Up until this point, residents were either stuck with the vehicle they had, or tasked with selling it privately. This old way of doing things was not only time-consuming, but left many people vulnerable to scams, tricks, and general frustration. It was getting to the point that car owners were reluctant to part ways with their vehicles, simply to avoid a headache. 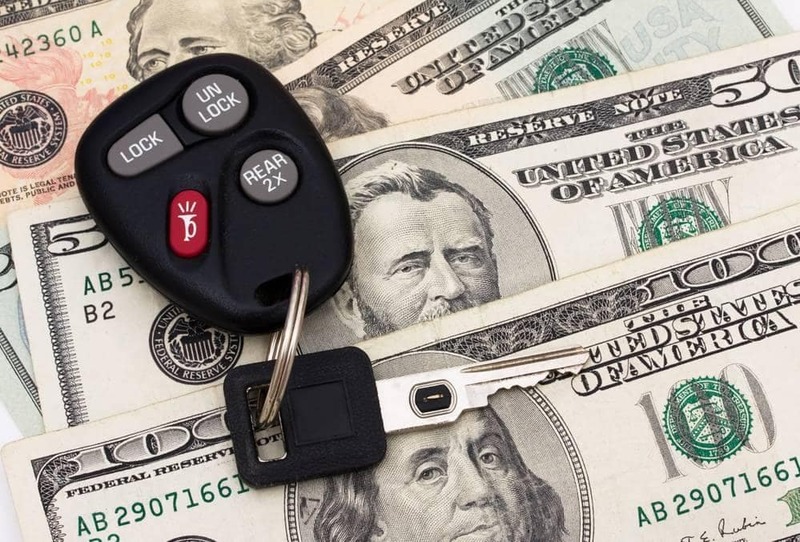 While the advent of the internet has made selling cars privately a bit easier, that convenience has come at a price that many sellers aren’t willing to risk paying. With every online classified website, there are hundreds of unethical “buyers” looking to take advantage of unsuspecting sellers. This old way of doing things is clearly not working and is not a viable long-term solution for residents here in Albany. The team at DePaula Chevrolet has understood the frustration of local residents in regards to selling their vehicles for far too long. Rather than carry on in the same manner as other local dealerships, DePaula Chevrolet decided to do something in order to make selling cars easier for area residents. It was clear that the old way was not working, so the solution-oriented team came up with an outstanding program aimed at buying your car for cash on the spot. Forget the headaches, the advertising, and meeting up with complete strangers in roadside parking lots. The solution available here at DePaula Chevrolet is changing the way people sell their vehicles and is providing buyers with more options than ever before. The average amount of time a person can expect to invest in order to sell their vehicle privately is twenty hours. That average is on the lower end but illustrates the dedication that it takes to simply sell your vehicle. Between advertising, driving to meet up with potential buyers, taking pictures, cleaning, and managing online ads and fielding phone calls – the time adds up surprisingly fast. If you are like most of us, you don’t have an extra twenty hours laying around somewhere, waiting to be used. Selling your car to DePaula Chevrolet is easy, convenient, and the fastest way to turn your vehicle into cash – guaranteed. Check out the following guide, which includes what you need to know, what you need to do, and how you can transform your current car into a check in just a matter of minutes. Find Out What It’s Worth: This is an optional step but is one that many people still take advantage of. Simply head to the DePaula Chevrolet website, and utilize the Kelley Blue Book online appraisal tool. The form takes only moments to fill out and will give you a general idea of what your vehicle is worth. You can even expedite the process here at the dealership, by completing the form and submitting it to the team at DePaula Chevrolet. Bring it In: Forget about detailing, scrubbing that coffee stain out of the carpet, or repairing any minor dings in your vehicle’s doors. While these are all necessary steps to selling your car privately, none of them are required for selling your car to DePaula Chevrolet. Simply bring your vehicle down to the dealership, and ask for an estimate from a friendly team member. Receive a Written Offer: Once our expert technicians inspect your vehicle – a process that takes less than twenty minutes, a team member will meet with you and discuss a cash offer for your vehicle. At that point in time, you can either accept the offer and walk away with a check, or you can think about it for a few days. No Obligation to Buy: When we say we will buy your car for cash, we mean it. No strings attached, and our sales team won’t coerce you into buying a replacement vehicle. Completely obligation free, leaving you the flexibility and confidence to bring your car in for an estimate, knowing you are in full control. You Have Time to Think it Over: The written offer that we provide sellers is good for up to 10 days or 1,000 miles. After that amount of time expires, that offer is invalid. You are still welcome to bring it back for a new estimate, but it is not guaranteed to be the same. If the offer is what you expected, you can also accept it on the spot, and leave with a check that same day. Bring Your Title: If you plan to sell your vehicle to DePaula Chevrolet, be sure to bring your paperwork, including the vehicle’s title, with you to your estimate. Having all of this paperwork in order will expedite the process, leaving you with more free time to do more important things.